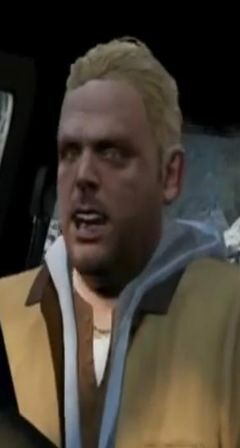 Bradley "Brad" Snider is a character in the HD Universe who appears as a minor character in Grand Theft Auto V. He is voiced by Ryan Woodle. In 2004, Brad was an accomplice of Trevor Philips and Michael Townley; however, during a heist gone wrong in Ludendorff, North Yankton, he and Michael were shot by a sniper and subsequently arrested, while Trevor escaped. Shortly thereafter, Brad died from his gunshot wound, while Michael survived. In an off the books plea deal with the FIB, Michael would fake his death, assume a new surname and relocate to Los Santos, while Brad was buried in Michael's place. Trevor believes that Brad is still alive, agreeing to help corrupt FIB agents Dave Norton and Steve Haines in their covert operations in exchange for freeing Brad and clearing his record. In the mission By the Book, Agent Norton reveals to Michael that he posed as Brad in letters written to Trevor to maintain the illusion that Brad was still alive and to keep an eye on Trevor. In Bury the Hatchet, Trevor suspects that Brad may have been dead for the past 9 years. When he confronts Michael about who was buried in his grave, Michael states that he never gave it much thought. Trevor flies to North Yankton to find out for himself. When Trevor finds Michael's supposed grave, he digs it up and finds Brad's decaying body, confirming his suspicions. If Trevor is still alive at the end of the storyline, Agent Norton emails him, revealing that he posed as Brad. When drunk, Amanda may confess to Michael that she "liked" Brad when she first met him.